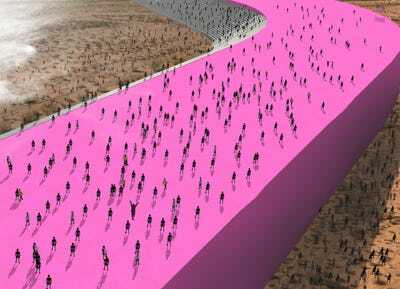 Agustin Avalos/Estudio 314Estudio 3.14’s vision for Donald Trump’s proposed wall along the Mexico-US border. 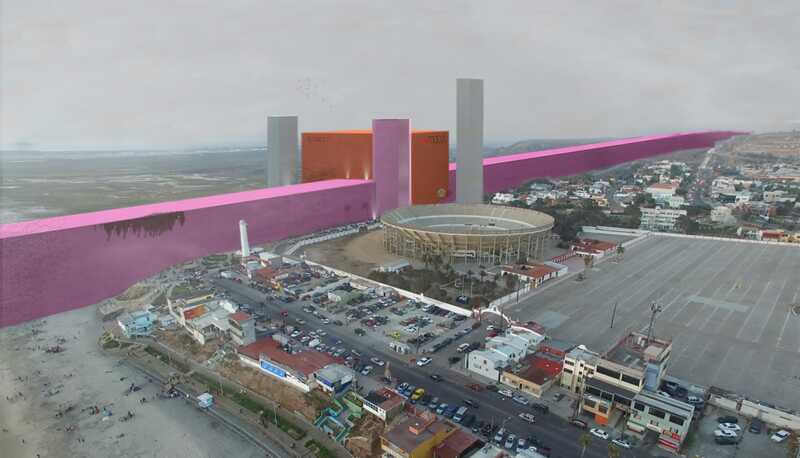 Eight prototypes for the Trump administration’s wall now stand near the US-Mexico border in San Diego, California. They were chosen as finalists from hundreds of submissions from architects, developers, and construction companies this spring. The renderings are meant to show the impracticality of building the wall and serve as a form of protest, designer Norberto Miranda told Business Insider. He said the border most likely wouldn’t foster positive relations with Mexico, and the mountainous terrain would make construction difficult. 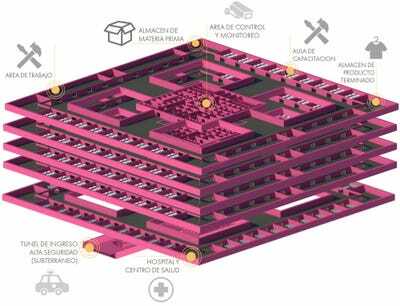 As many others have pointed out, the wall would also be expensive, and Mexican President Enrique Peña Nieto has said his country would never pay for it. CNBC’s Kate Drew wrote that the construction could cost the US government $US15 billion to $US25 billion. Maintenance and hiring 21,000 border-patrol agents could cost an additional $US2.1 billion a year, according to CNBC and an analysis by Politico. (Trump has said Mexico would pay for the wall through taxes or trade.) Estudio 3.14 designed the renderings around these estimates. 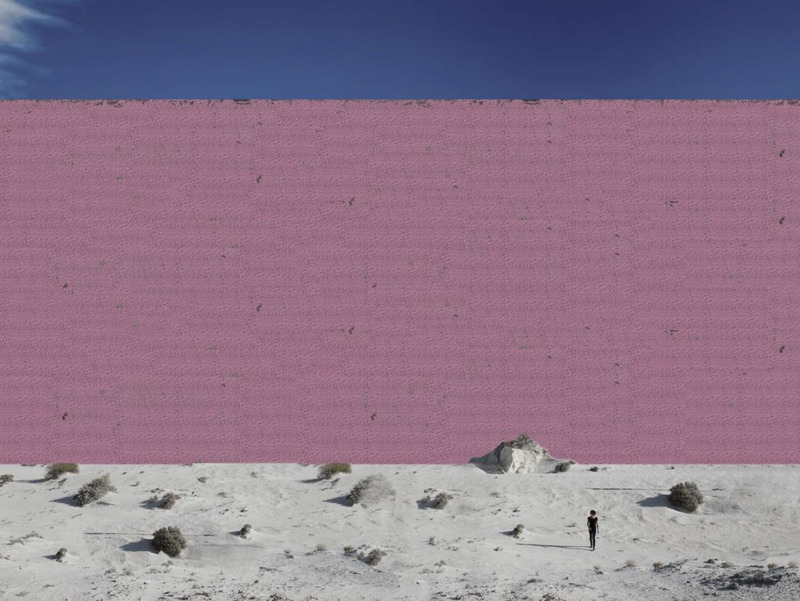 If built, the wall would become one of the largest architectural projects in modern American history. 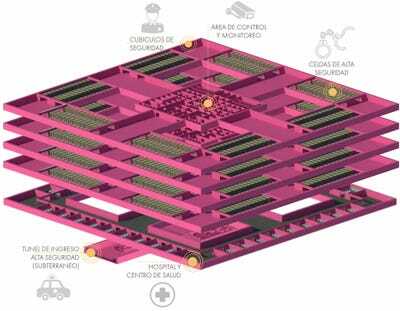 The design was also inspired by the work of renowned Mexican architect Luis Barragán, who is known for his blunt, stucco walls and use of bright colours. 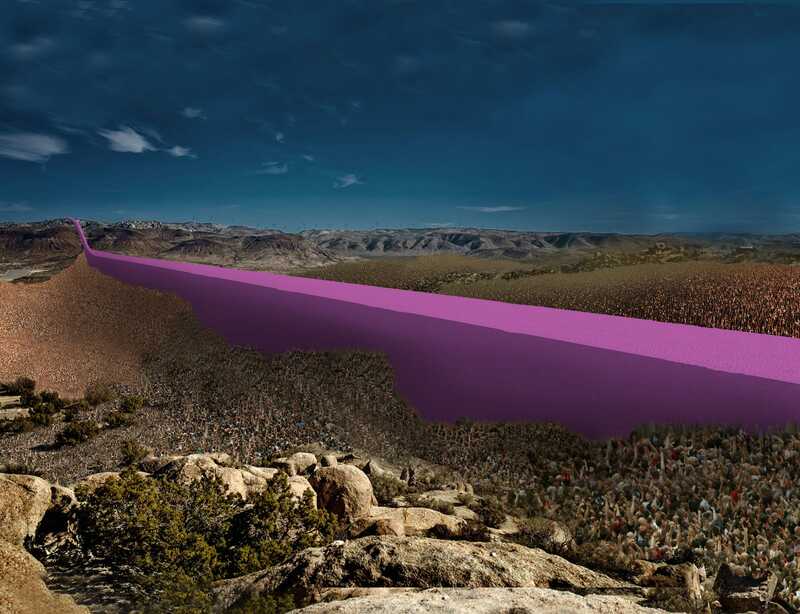 Stretching from the Pacific Coast to the Gulf of Mexico, the wall would separate the Southwest from northern Mexico. The wall would include a prison for immigrants, holding up to “11 million people who Trump plans to deport,” Miranda said. Another part would feature a manufacturing plant, where the prisoners would work to maintain the wall. 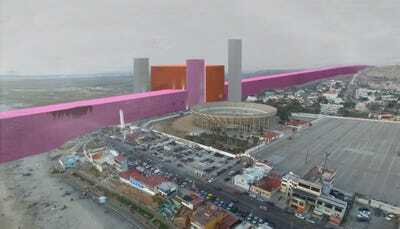 The design includes a shopping mall for Americans that would be built into the wall, too. The mountain ranges along the Mexico-US border would make the wall’s construction nearly impossible and costly, Miranda said. 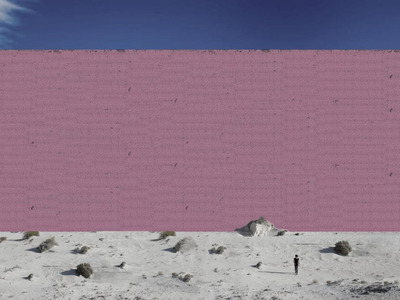 The areas without existing fences are the most dense and arid, so taking those physical challenges into consideration, he said the wall would take 16 years to build. The proposed divider is a “megalomaniac architectural proposal,” he said.